Update: Party Parners is now called Bwin.Party Partners. Party Partners is the affiliate program covering PartyPoker and the Party Gaming Plc company. 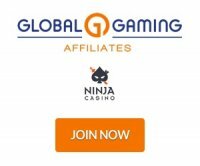 PartyGaming Plc was launched in 1997 with casino software and in 2001 launched PartyPoker.com which is the flagship program. Recently PartyGaming Plc has merged with Austrian gaming firm bwin making it the largest gaming company covering sportsbetting, poker, casino and bingo products. The Party Partners brands are licensed and regulated in Gibraltar and focus on markets in the world but do not accept US players. The brands are PartyPoker, Party Casino, Party Bets, Party Bingo, Party Gammon, Empire Poker, Gamebookers brands along with the WPT poker and casino brands. Party Partners offers an array of affiliate tools including custom campaigns. Quick Cash is a feature to allow affiliates to transfer funds from their affiliate cashier account to their referred players. This is a great feature if you want to give back a bit of rewards to your players as an incentive for increasing more depositors. The reporting is extensive and the affiliate backend provides campaign reporting along with quick stats, brand reports and monthly statements. The banner selection is also extensive as it covers many languages. All gaming products with Party brands especially Party Poker and Party Casino are in USD currency but the non poker products are available in multiple currencies like Euros and British Pound/Sterling. Party Partners has many affiliate managers and you will be assigned your own personal affiliate manager.